Nothing beats the serious crunch you get from our Jumbo Tacos. They’re bigger so you can fit more of your favourite Mexican fillings in! Go classic with seasoned beef mince, guacamole, fresh salads and tangy salsa or mix it up anyway you like! 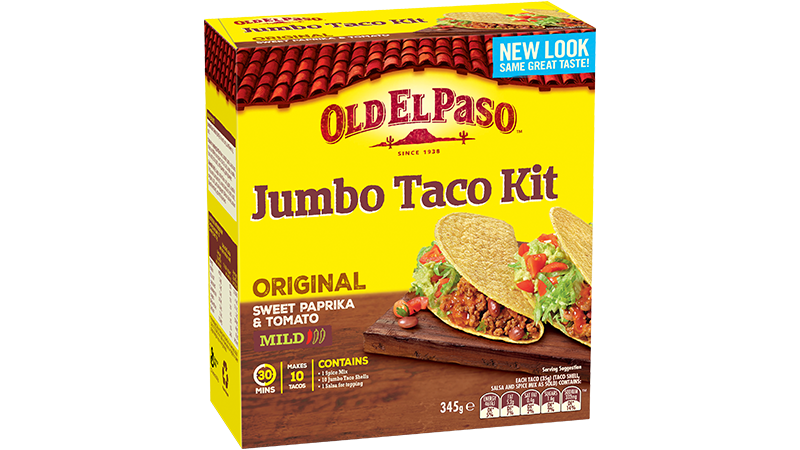 Jumbo Kit contains 10 Jumbo Shells, Taco Spice Mix and Mild Taco Sauce – everything you need to create your own delicious Mexican meal.